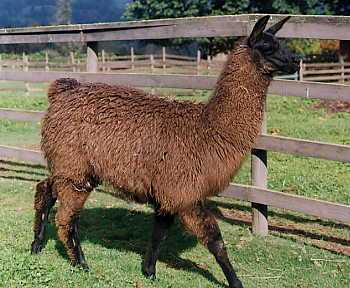 JustinThyme looked exactly like our previous cria, Undine. They are definitely not related though. He was a solid little boy, very independent after a week, only going to his mother when he was hungry. He now thinks he is a stud and is very interested in the girls in the next pasture, but he will probably be gelded next spring. We will likely try taking him for walks and putting a small pack on him soon to see how he takes to hiking.